Since the last upgrade the latest book has been published. David Williams & John Devey have worked hard to produce a different type book. It still contains a good number of photographs but it focuses on the recollections of a number of former residents to illustrate how the village has changed over the years. I believe it is a good read and well worth its £6.00 price tag. We are planning to produce a definitive history of Bridgtown and all of the team are involved in various aspects of the history. A plan of action has been formulated and funding is being sourced. Hopefully, it will be ready for publishing around 2019. Many of you will already have seen the first of the Heritage boards outside Costa Coffee House on the ringroad. (if not! Why not?) and the second is about to be unveiled at the new housing development on Walsall Road where the Cornelius Whitehouse “Hedghog Works” was situated. Funding was kindly supplied by the site developers. Another 3 should be erected and news about those will be forthcoming. This will be a huge undertaking and we are preparing the Albums so that a comprehensive and searchable database can be developed to make research much easier. More to come with this. March’s talk will be “More streets of Bridgtown” with our own Derrick Middleton. Due to problems with illness etc. further talks will be added as they become confirmed. 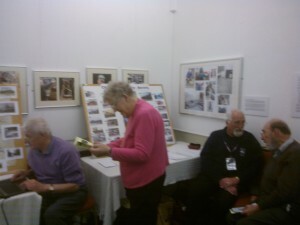 On Sunday 1st May 2016 the Society, along with other Local History Groups was invited to the Staffordshire Day Exhibition at The Museum of Cannock Chase. David Battersby, Catherine Page & John Devey prepared a series of photographs and Tools from our archive denoting the Edge Tool works in Bridgtown and Bob Brevitt added an Around & About Bridgtown display. 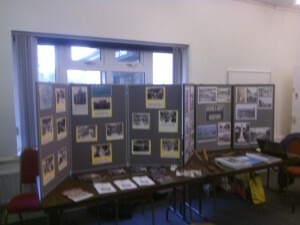 The display was completed by a selection of our Books and computer access to the Bridgtown Website. 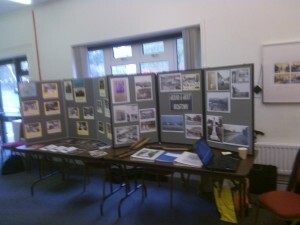 The Museum opened to the public noon til 4pm and there was a steady trickle of interest in our display. Also with us were groups from Norton Canes, Hazel Slade and Chadsmoor and we were entertained by two medieval songsters. The weather played its part as the “Cloggers” and the Brass Band had to curtail their outdoor displays and go indoors. Even so there was a steady flow of people even though the event was not well advertised.